The Serbian national team went to Crete to face Greece in the 4th window of the World Cup 2019 Qualification. The Head coach Aleksandar Đorđević decided to take all 14 players that were preparing for the games against Greece and Estonia. After nine days of the preparation process Đorđević knows who will play against Greece and said that his team is expecting a tough game. 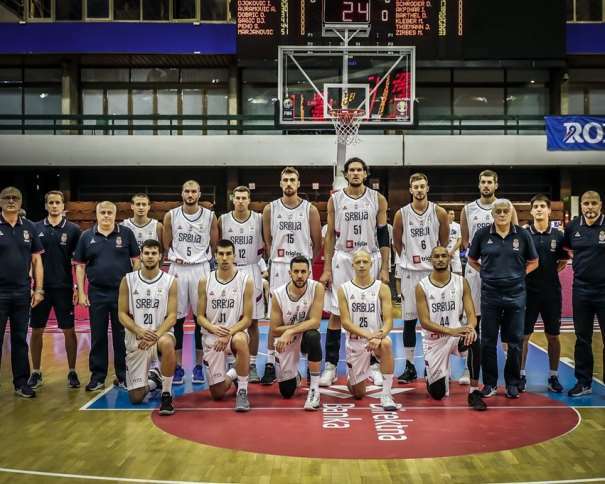 Two players are out from the announced 16: Dejan Todorović because his team (Murcia) didn’t allow him to be with his Serbian teammates from the beginning and Ilija Đoković, who is already in Čačak where he is preparing for the new season with Borac. “All of them will travel to Greece, all 14 players. Of course, we have an idea of who will play, Greece is a huge challenge for everyone. 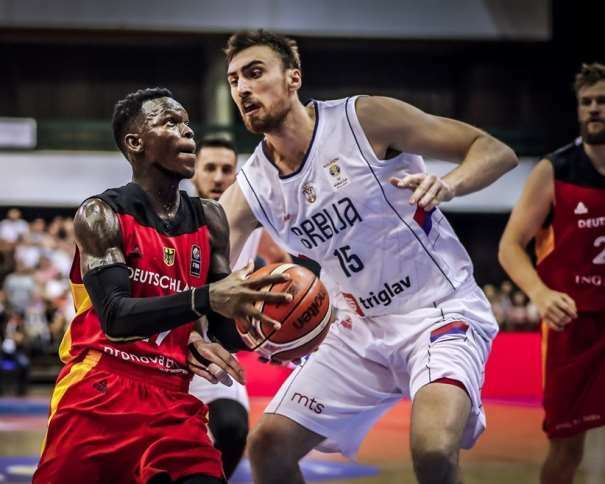 Lots of us are without a game for a long time, not all players are on the same level but our opponent has the same problem”, said Đorđević who mentioned that Miroslav Raduljica was practicing under high temperature. “Raduljica has been under high temperature these past two days. (Nemanja) Bjelica had a neck problem and this was his first practice after a short break and Micić also didn’t practice for a few days. The others are more-less ready. We left behind seven good and tough practicing days. We face a lot of things and I think we are OK now”, the Serbian coach mentioned in front of the journalist at the open practice before the trip to Greece. Nemanja Bjelica, Sacramento Kings player, didn’t hide his satisfaction about his return to the national team. “I really missed this because I was out of the national team for two years and now I am having the same role I had before USA and that is what I need for self-confidence. Now I feel great and ready. 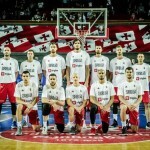 It want be easy against Greece, they, except Giannis Antetokounmpo who is out, will face us with their best squad. We will miss some important players on the court but we don’t run from our responsibility. We have to try to win”, said Bjelica. His teammate Nikola Kalinić (Fenerbahce player) mentioned that the game against Greece is the most important challenge till now. “This will be the most important game till now. We are traveling to Crete where will face the great Greek team with a lot of great names, excellent players. We will see where we stand, but I think we prepared good for that game. It will be definitely an interesting game”, mentioned Kalinić before the trip to Greece. 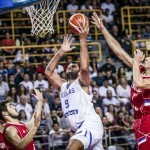 The players that will be available for the games against Greece and Estonia are: Stefan Jović (PG) from Munich, Vasilije Micić (PG, who played 2 of the 6 previous games in the 3 previous windows) from Efes, Aleksa Avramović (PG, who played 1 of the 6 previous games) from Pallacanestro Varese, Nemanja Nedović (PG – SG) from Milano, Bogdan Bogdanović from Sacramento, Dragan Milosavljević (SG, who played 2 of the 6 previous games) from Málaga, Marko Simonović (SF, who played all the 6 previous games) from BC Zenit Saint Petersburg, Nikola Kalinić (SF – PF) from Fenerbahçe, Vladimir Lučić (SF – PF) from Munich, N. Bjelica from Sacramento, Stevan Jelovac (PF, who played 4 of the 6 previous games) from Bamberg, Miroslav Raduljica (C, who played 4 of the 6 previous games) from Jiangsu Dragons, Nikola Milutinov (C, who played 2 of the 6 previous games) from Olympiacos and Uroš Luković (C) from KK Mornar Bar.